When it comes to cooking at home, it’s something I try to do as regularly as possible. I’m not a bad cook, but I do have a tendency to circle through a handful of ‘old faithful’ recipes, which although delicious, can get a bit repetitive. So, when the opportunity came up to learn how to create a brand new dish with M&S, I absolutely jumped at the chance! 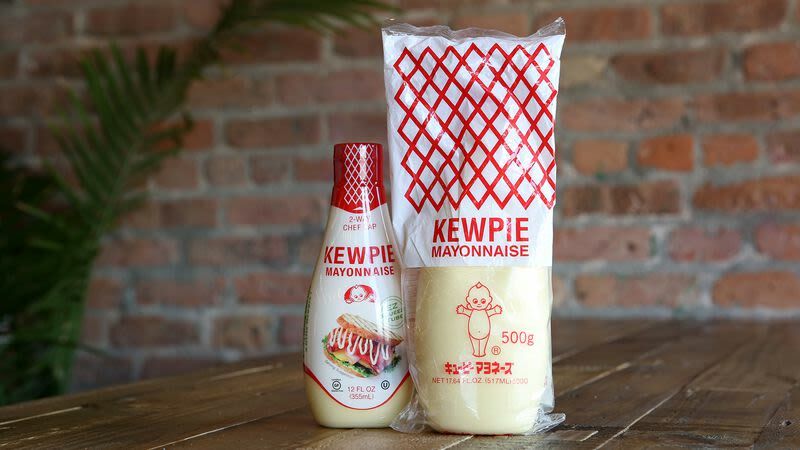 Since we’re in the midst of summer, I thought it would be fun to try a dish which would pair well with a crunchy salad. 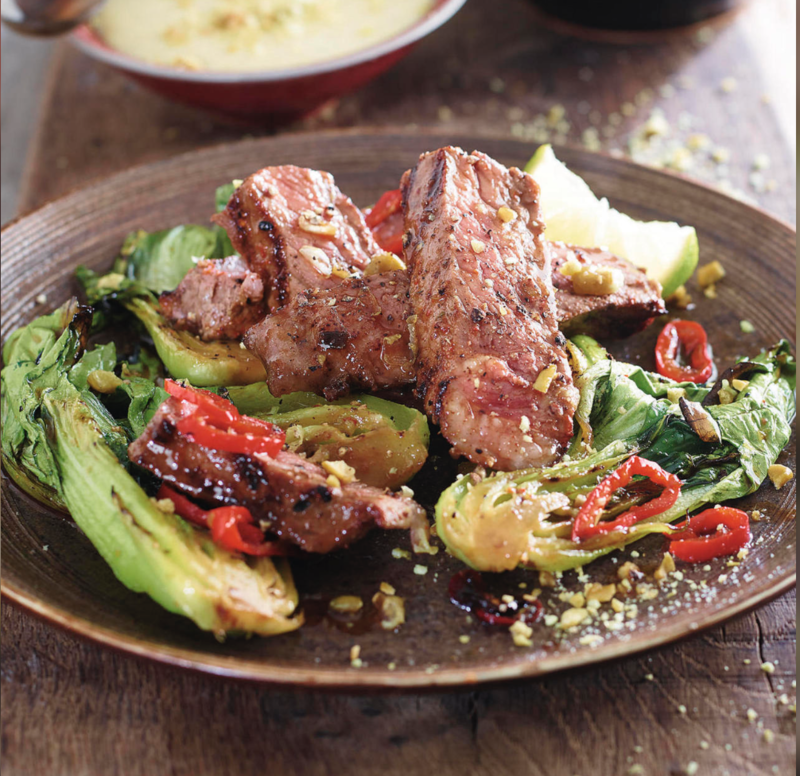 M&S have developed a whole range of fabulous summer recipes, but I picked Japanese Sirloin Steaks – I’ve never been one to pass over wasabi. It was also a great chance to enjoy a great steak – M&S is the only national retailer which can trace 100% of its beef back to the farm and individual cow. As a guilty carnivore, their dedication to humane and responsibility farming means I can enjoy my meal even more! The recipe was super easy to follow, and all the ingredients are available in bigger M&S stores – so grabbing them in one shop couldn’t be simpler! And the result? A supper which was relished outside, and the recipe has firmly joined the ranks of my most loved! I’ve included the recipe below so you can try it for yourself! Crush wasabi peas in a pestle and mortar. Cook the steak to liking then remove and rest. Add the pak choi to the pan to gain a little colour, deglaze with the steak sauce, and drop in the chilli. Arrange the pak choi leaves on a long wooden board. Slice the beef then arrange the beef and baby pak choi on the board all with a nice drizzle of the glaze covering them. 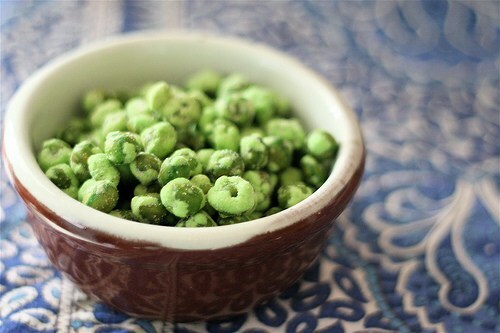 Serve with the wasabi mayonnaise and a sprinkle of the crushed wasabi peas. You can find more M&S recipes here – I’ve already got my shopping list ready to try a few more!